Presenting Dubai-Forever.Com's "UAE Business Directory". The ONLY UAE Business Database & Marketing Email list that you will EVER need. 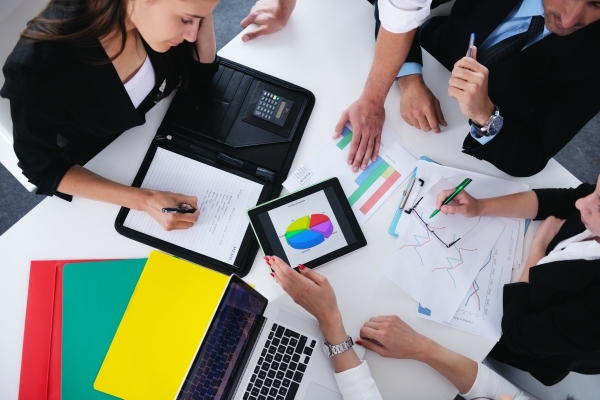 Email Marketing in UAE could never be so easy and simple. With a complete list of companies in Dubai, Abu Dhabi, Al Ain, Sharjah, Ajman, Ras Al Khaimah, Umm Al Quwain and Fujairah in the United Arab Emirates, this database is even more extensive than the Dubai Yellow Pages or for that matter the UAE Yellow Pages. 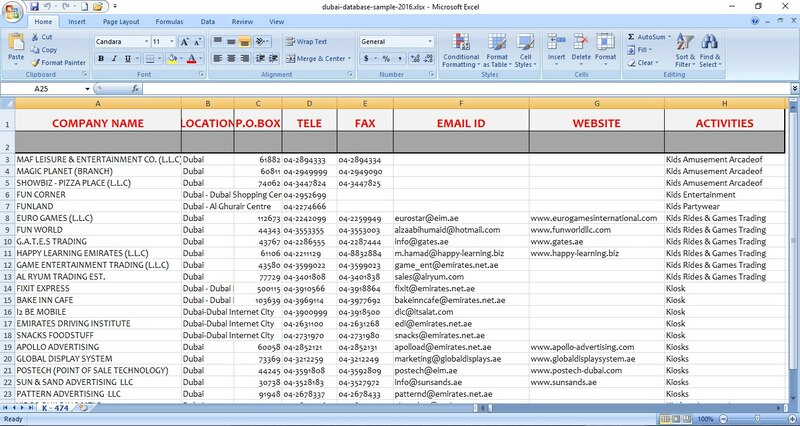 The UAE Business Database & Marketing Email List is now sent to you via email only. You can then store it on your computer's hard-disk, a removable storage device or even on the cloud. Q # 1: Could you show me some samples? Ans: Please find attached 4 samples from the database. Some phone numbers have been hidden to protect privacy on the internet. Click on the images below to open a larger image in a new window. Q # 2: How will you send me the Data? Ans: Direct Download and CD's are outdated modes of sending data. Prone to cyber-attacks and corruption of data. I will send you ZIP files by Email. 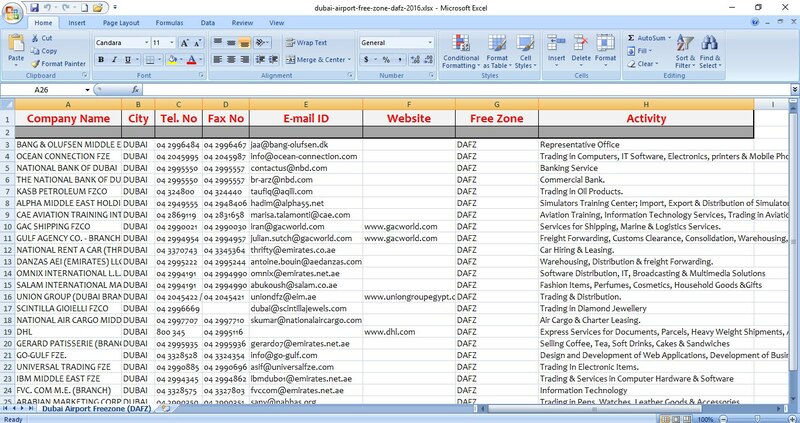 Q # 3: When will I receive the UAE business directory in excel format? Ans: Within 24 hours of your payment receipt. Additions to the database happen daily. So, we need some time to compile the database to send to you. Q # 4: Which format is the Data in the UAE Business Directory - 2019? 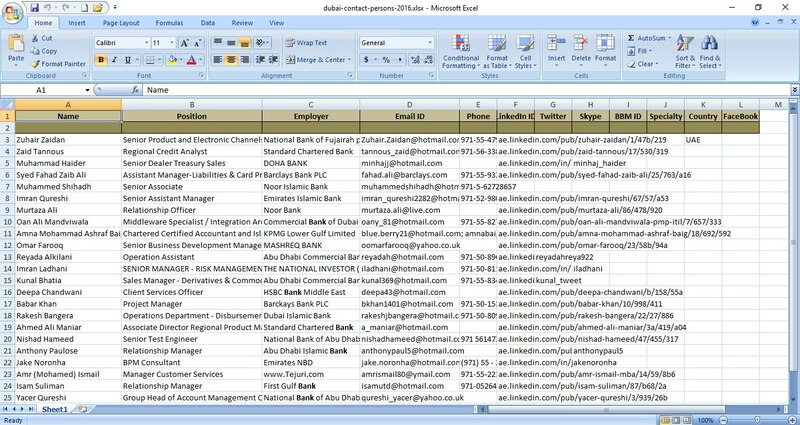 Ans: The UAE Database is in Microsoft Excel Format. You can sort, filter and import as per your needs. You may even copy-paste it into your email marketing software program. 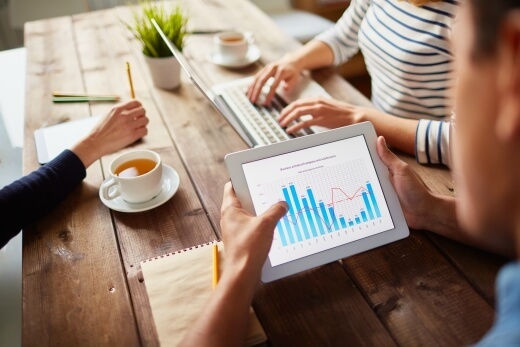 Q # 5: How effective is the UAE Business Directory 2019? Ans: A fresh compilation of this database ensures that it is very effective. Q # 6: What about bounce-backs? Ans: Bounce-backs do happen, you can expect a bounce-back rate of between 30 - 40%. Validation is difficult and if you want 100% clean emails, it costs in the 1000's. Ans: You don't need a PayPal account to make an online payment; when redirected to the payment page you can directly enter your credit/ debit card details. Q # 8: I don't have a credit card; can I pay in some other way? Ans: Yes you can, please navigate to the alternate payment methods page. 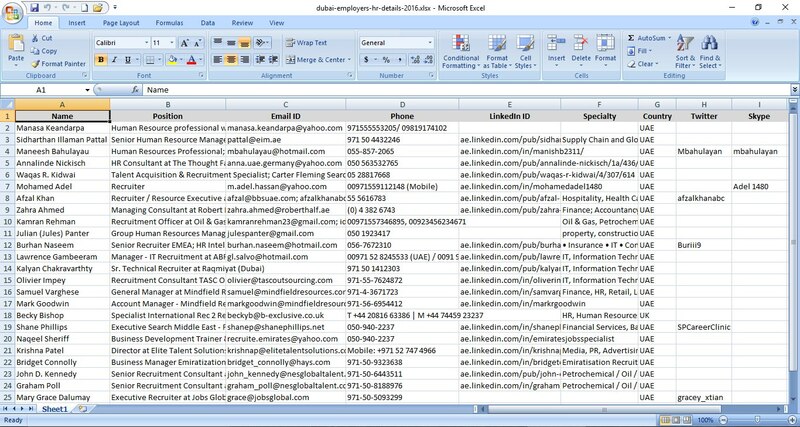 TOP 100+ UAE Recruiting Agencies with contact details. LinkedIn Email ID's (28500+) & LinkedIn Open Networker [LION] Email ID's (7700+). NOTE: If you have any queries about our UAE Business Database and Marketing Directory, please contact us. Company name, Email address, Mailing address, City, State, Zip code, Phone number, Fax number, Sic code, Industry, Web address.